The Yaqui catfish, the only catfish native to Arizona, may be extinct in the US by 2018, despite extensive efforts to keep it alive in the wild. New research has found that Arizona's population has been declining at a rate of 15 percent per year, with little to no sign of breeding. The catfish that now remain in the wild are "stocked progeny" left over from a reintroduction project in the late 1990s. They're the remnants of 1,824 hatchery-bred fish that were placed in spring-fed ponds in and around the San Bernardino National Wildlife Reserve. Despite a reasonable start to life in the wild, the population quickly began to decline. According to the researchers, reproduction among the catfish is now said to be "low to non-existent", and not a single small or young individual was observed between 2000 and 2015. That means the end may be nigh for the species in the US once this ageing generation dies off. This is not the first time the impressively moustachioed Yaqui catfish has battled with extinction. In the 1960s, competition from non-native species such as blue and channel catfish (as well as hybridisation with the latter) left populations on the brink. Agricultural runoff into streams, pollution, damming of rivers and draining of groundwater also struck them hard. The results of the latest research were not entirely shocking to Dean Hendrickson, Curator of Ichthyology at University of Texas at Austin, who was not involved in the new study. He says it's long been known that the habitat where the US catfish dwell isn't suitable for them to breed. "Those habitats are unlike the habitats in which the species evolved, so it should not be surprising that they failed to reproduce in those places." Yaqui catfish distribution in the Rio Yaqui and Rio Casas Grandes drainages in northwestern Mexico and extreme southeastern Arizona. Based on information from the Florida Museum of Natural History. Like other catfish species, these animals require a trigger – such as an increase in a river's water flow – in order to spawn, but attempts to artificially recreate this haven't worked. "We do not know why Yaqui catfish are unable to breed at the [San Bernardino] Refuge," says David Stewart, a biological statistician at the US Fish and Wildlife Service and co-author of the study. In the spring-fed ponds where the catfish are found, the spawning trigger is clearly lacking, and Stewart says there is no way of manipulating the water flow to transform these pools to function like a stream or river. A second problem is that the Yaqui, like other catfish species, needs cavities at the bottom of its watery home to spawn and feed. "These ponds consist of sandy substrate, some are highly vegetated, and a few are much larger and deeper than the rest," Stewart explains, noting that staff at the refuge recognised this as a potential obstacle to breeding efforts some time ago. As a remedy, steps were taken to recreate a suitable breeding habitat. Underwater structures such as pipes and buckets were constructed to mimic a natural environment – but without success. "If this did work, the fish did not survive to reach maturity," Stewart says. Since last year, the team has been working to create new ponds and adapt existing ones, with more natural structures such as boulders, small rocks and woody debris. If this doesn't work, however, populations will "need to be supported by captive stock", according to Stewart. 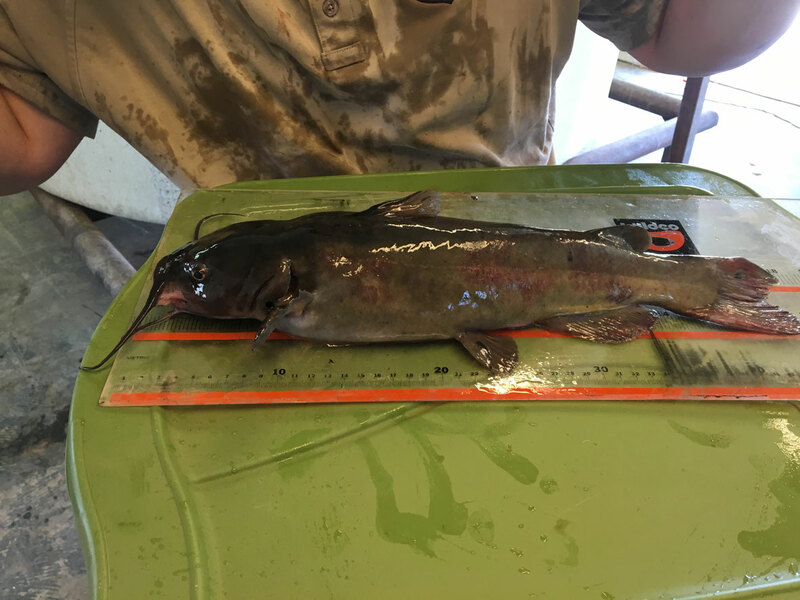 To build up this reserve population, the existing catfish in Arizona are being captured and taken to a hatchery, where they will hopefully produce enough young to repopulate their wild kin. 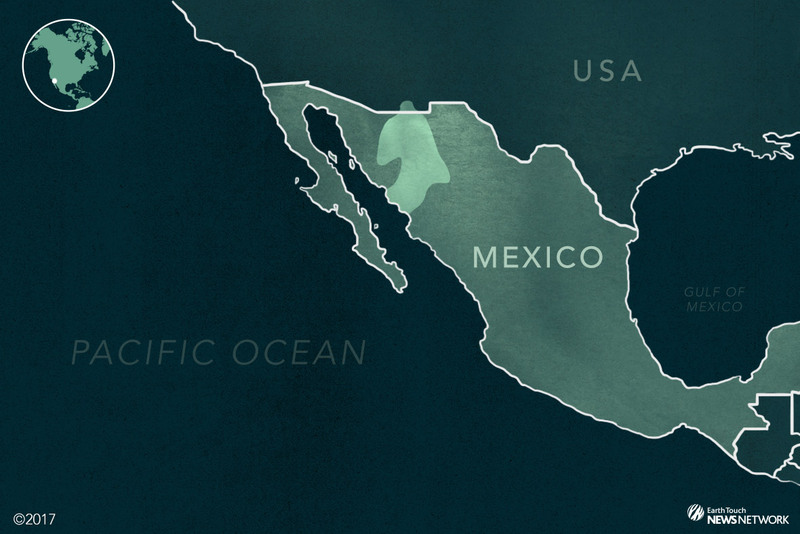 All this means the outlook for the Yaqui catfish is bleak, but there's still a chance of a comeback for the US population – though it hinges on its cousins across the border. "[The] recovery of this species only happens if we secure it in the wilds of Mexico," Stewart explains. Unfortunately, Mexico's catfish are not faring much better. A 2011 study suggested that the species should be considered endangered across its limited range in the country, where it has suffered from the same devastating threats as the US populations. Now, authorities are working on ways to collaborate across the border in an effort to save the species. First, they plan to quickly map out the status of the Yaqui catfish using a non-invasive technique called environmental DNA (eDNA). By gathering samples of eDNA left by the fish in the water – from flakes of skin, faeces or urine – they'll look for signs of any "pure", unhybridised individuals. If such fish do remain in the wild (which isn't at all certain), they can be captured and taken to a hatchery to spawn, eventually repopulating the wild stock in Mexico and the US. Hendrickson agrees that finding unhybridised catfish is essential, but he also cautions that lessons must be learned from the failed catfish conservation strategy in Arizona. "[F]uture management efforts [should] not blindly go down the same paths." To that end, identifying where "pure" survivors might be lurking will help scientists fill in gaps in their knowledge of Yaqui catfish ecology and life history, which is crucial to understanding the environmental conditions needed to keep future populations healthy. Something else we don't yet fully grasp is just what the impact of a Yaqui catfish extinction might be, or how its disappearance could affect the populations of its prey. We do know, however, that the species plays an important role in local ecosystems. "Catfish are nocturnal bottom-dwelling fish that eat a variety of ... creatures that also live in the same wetlands," says study co-author Bill Radke. He compares the potential loss of the Yaqui catfish to losing spokes on a bicycle wheel: "[H]ow many spokes can you lose before the wheel doesn't function anymore?"